As part of the on-going VMware article series, earlier we discussed about VMware virtualization fundamentals, and how to install VMware Server 2. 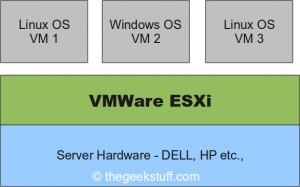 In this article, let us discuss about how to install VMware ESXi. VMware ESXi is free. However, the software comes with a 60 days evaluation mode. 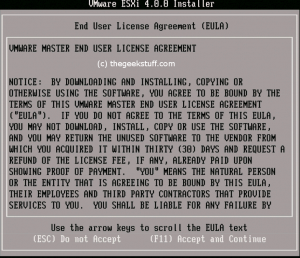 You should register on VMware website to get your free license key to come out of the evaluation mode. Once the ESXi is installed, you can either user vSphere Client on the Direct Console User Interface to administer the host. 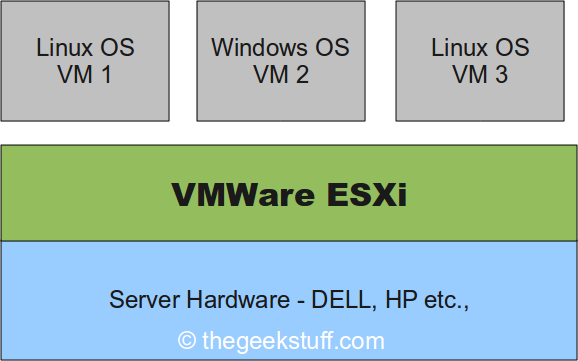 VMware ESXi is based on hypervisor architecture that runs directly on top of a hardware as shown below. Get the software from the VMware ESXi download page. Following are the various download options available. Select “ESXi 4.0 Update 1 Installable (CD ISO) Binary (.iso)” and burn a CD. Once you insert the ESXi CD and reboot the server, it will display a boot menu with an option to launch “ESXi Installer” as shown below. While the installer is loading all the necessary modules, it will display the server configuration information at the top as shown below. In this example, I was installing VMware ESXi 4.0 on a Dell PowerEdge 2950 server. 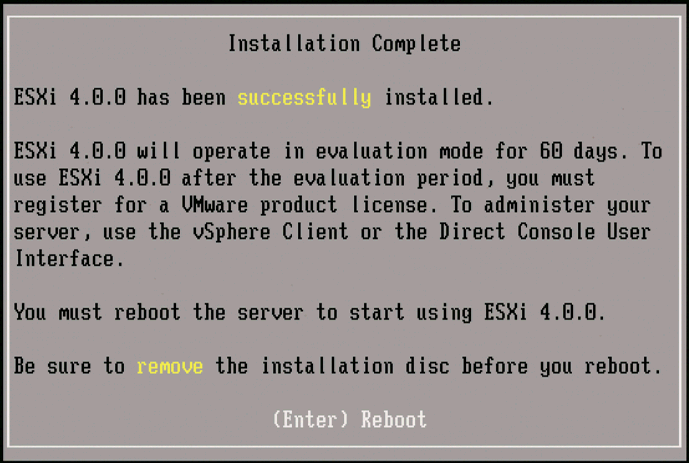 Since this is a new installation of ESXi, select “Install” in the following screen. 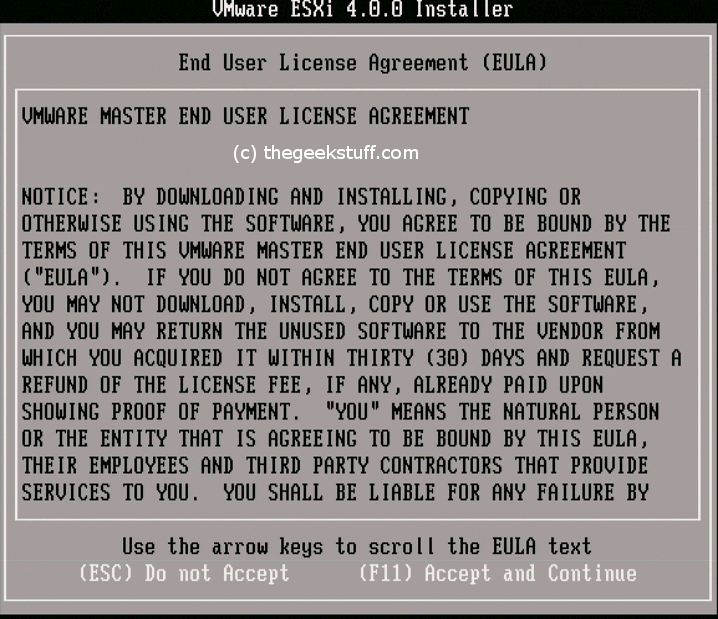 Read and accept the EULA by pressing F11. 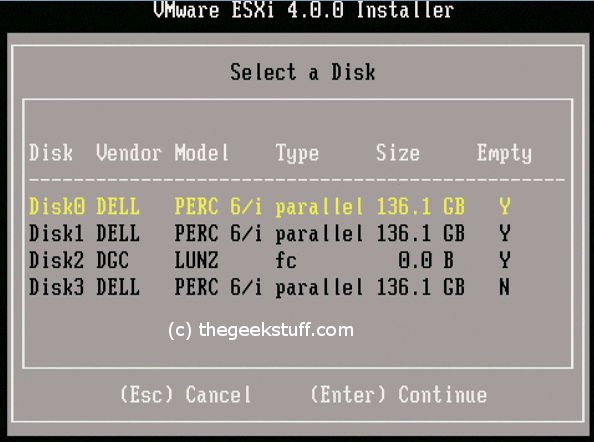 VMware ESXi 4.0.0 Installer will display all available disk groups. Choose the Disk where you would like to install the ESXi. It is recommended to choose the Disk0. Confirm that you are ready to start the install process. The installation process takes few minutes. 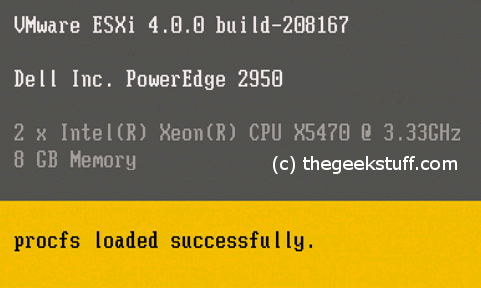 While the ESXi is getting installed, it will display a progress bar as shown below. You will get the following installation completed message that will prompt you to reboot the server. 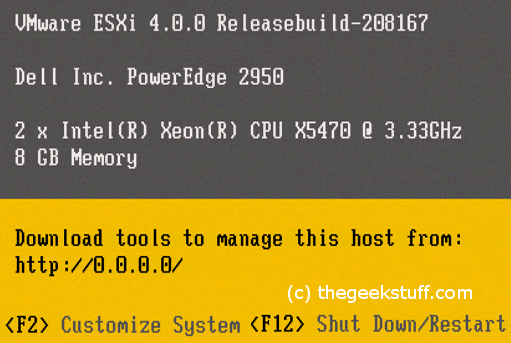 After the ESXi is installed, you’ll get the following screen where you can configure the system by pressing F2. Thank you for helping so many people with their PC challenges. It’s disheartening to see that malware is still a huge issue these days.I guess it’s true that training is still the most effective approach to helping people treat their problems. Are you aware of any stand alone antivirus and anti-spyware application that work well together. It seems like the majority of firms are trying to integrate each into one product and to me it feels like one is always sacrificed. I’d rather run two good software products which work well together.